Located within the Department of State, the Bureau of International Information Programs is the main propaganda arm of the U.S. Government towards the rest of the world. Responsible for producing and distributing information about the United States to an international audience, the Bureau attempts to foster understanding and good will towards America with an eye towards creating an environment receptive to U.S. national interests. The Bureau was created in 1999 out of the remnants of the U.S. Information Agency when it was merged with the State Department, and has attempted to brand itself as a more high-tech and modern office. In addition to news reports and publications about the United States, the Bureau recently unveiled a new website, designed to reach a younger audience with multimedia presentations, videos and podcasts. The Director of the Bureau of International Information Programs reports directly to the Under Secretary for Public Diplomacy and Public Affairs. American public diplomacy programs trace their roots back to the Second World War, when the United States Office of War Information was created to promote democracy and patriotism through news stories, posters, radio broadcasts and large-scale propaganda campaigns both domestically and abroad. In 1945, following the end of World War II, the Office of War Information was largely decommissioned, and most of its activities were discontinued. By the early 1950s, with rising Soviet tensions and the outbreak of war in Korea, the need became clear for a more robust U.S. public outreach program. The Bureau of International Information Programs traces its origins back to the U.S. Information Agency (USIA), which was established by President Eisenhower in 1953 with a mission to inform and influence members of the foreign public, foster student and professor exchanges and promote U.S. policies and national interests. Known abroad as the U.S. Information Service, the agency was meant to provide a truthful and accurate representation of the United States and counter Soviet propaganda, but it soon gained a reputation - among both admirers and detractors - as the main propaganda agency of the U.S. Government. The Agency carried out this mandate with gusto, producing a flood of pro-American TV shows, newsreels and films. By the early 1960s, USIA claimed to be the largest noncommercial film distributor in the world, broadcasting to an estimated 30 million televisions in Eastern Europe, 8.5 million in Japan, 6 million in the Soviet Union, and 4.5 million in Latin America. The USIA was also known for administering two large programs, the Fulbright Scholarship Program, which oversaw the exchange of some 250,000 students and teachers, and the immense Radio Free Europe/Radio Liberty international radio program, which broadcast pro-democratic radio programming in more than 40 languages. In 1961, President Kennedy appointed well-known journalist Edward R. Murrow as Director of USIA, ushering in a brief ‘golden age’ of American public diplomacy. Murrow brought a new sense of credibility and organization to the Agency, and was given a high level of presidential access, including a seat on the National Security Council. Under Murrow, USIA’s mission began to shift away from promoting U.S. policy and towards providing objective and balanced reporting about the United States. In Murrow’s words, "To be persuasive, we must be believable; to be believable, we must be credible; to be credible, we must be truthful." The role of the USIA began to decline in the 1970s and 1980s. Under the Carter administration the agency was briefly renamed the U.S. International Communication Agency (ICA), and more emphasis was placed on promoting human rights and individual freedoms. The original name was restored in 1982 to avoid confusion with the CIA. In 1999 USIA was merged with the State Department under the Foreign Affairs Restructuring Act. The agency’s main broadcast functions, including Voice of America and Radio Liberty programs, were broken off into the independent Broadcasting Board of Governors, while the information and exchange functions were consolidated into the Bureau of International Information Programs under the Secretary of State. The reorganization was designed to bring the agency’s broadcasting and outreach activities more closely in line with American foreign policy objectives, as defined by the Department of State. The Bureau of International Information Programs is organized around three main strategic goals: offering people around the world a positive image of the United States, confronting and marginalizing violent extremists, and fostering a sense of common interest and values between Americans and people around the world. To achieve these goals, the Bureau produces materials in seven languages, English, Arabic, Chinese, French, Persian, Russian and Spanish, through a variety of print and electronic media. The Bureau also provides information outreach support to U.S. Embassies in more than 140 countries. Since 2001, the Bureau has focused its efforts largely on the War on Terror and especially through Internet and multimedia outreach. Since 2007, the Bureau has focused its efforts on strengthening the U.S. public diplomacy presence on the Internet. In early 2008, BIIP launched a major new outreach initiative, “America.gov”, a multimedia website designed to attract a younger, more technology-savvy audience, with a variety of video, audio and photo exhibits. The Bureau has also begun to tap into various interactive programs, designed to stimulate discussion of U.S. values and policies, including the Ask America weekly chat sessions and eJournal USA, a monthly online magazine. 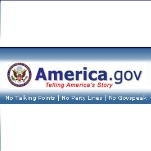 America.gov also features a regular podcast on issues of international news and foreign policy. The largest person-to-person outreach program of the Bureau, the Strategic Speakers Program utilizes so-called “citizen dialogues,” small hand-picked teams of American Muslims who are sent to various Muslim countries to share their personal stories and promote the role of Islamic culture within U.S. society. Launched in 2007, the Digital Outreach Team is part of BIIP’s strategy to strengthen the U.S. presence online and use the Internet to protect and promote U.S. interests. The Digital Outreach Team is composed of a number of Arabic speakers who monitor and participate in Arabic political discussion forums on the Internet. The Digital Outreach Team is currently being expanded to include additional languages, including Persian and Chinese, and to broaden its target audience online. Closely linked with the Digital Outreach Team, the Counterterrorism Communication Center is focused on monitoring terrorist communication and propaganda online and developing counter messages to undermine ideological support for anti-American messages. The primary focus of the Counterterrorism Center is Arabic language websites and chat room. American Corners have been set up in chambers of commerce or in public libraries around the world with the purpose of providing access to the relevant information sources about American culture, history and educational system. Democracy Video challenge is an effort to enhance the global dialogue on democracy by inviting citizens from around the world to create short videos that complete the phrase: “Democracy is...” Seven videos will be chosen by global online voting via YouTube. Role of Public Diplomacy: Information or Propaganda? One of the most difficult questions for the USIA and the BIIP is the basic role of public diplomacy, whether it is to function as an instrument of propaganda or information. Throughout the history of the USIA and the BIIP, emphasis has shifted between supporting U.S. public policy and national interests and providing balanced and objective reporting of the United States and other governments. During the Kennedy Administration, the role of the USIA was given the explicit mandate to help the U.S. achieve its foreign policy objectives and influence public attitudes in other nations, described in the words of Director Murrow, “to change the minds of men – in their best interests and ours.” Nevertheless, throughout the 60s and 70s, the USIA maintained a strong sense of independence and autonomy from U.S. policymakers. This independence began to decrease by the 1980s, and in 1999 public outreach activities became directly managed by the State Department. The change has received some criticism for narrowing the focus of the agency too much towards promoting U.S. policy and away from fair and balanced reporting or an expression of “core American values,” such as democracy, freedom of speech and human rights. There has been great debate over the current work of the BIIP under the State Department and whether or not to revive the US Information Agency as an independent office. In June 2007, Presidential candidate John McCain published an article proposing the reestablishment of the U.S. Information Agency as an independent office. McCain, who had supported the initial merging of the USIA into the State Department, now believes that the shift has made the Bureau of International Information Programs too closely focused on communicating America’s foreign policy, rather than the larger promotion of American values, ideas, culture and education. The USIA was an obsolete agency, focused on propaganda rather than public outreach. Only now, with a focus on public communication through new media and culturally-sensitive channels, will public diplomacy be successful in the Muslim world. Public diplomacy and outreach is a long-term and often high-risk undertaking and the officers who practice it must have more independence and autonomy to avoid falling into the short-term, policy-oriented mindset of the State Department. To improve current public diplomacy efforts the State Department must draw upon lessons from the Cold War, establish greater authority and coordination of public diplomacy efforts, and make it clear that the fundamental purpose of international information programs is to affect foreign audiences in ways that are favorable to U.S. national interests. By far the most prominent former USIA Director is Edward R. Murrow, who served from 1961 to 1964. A renowned and trusted journalist for CBS News, Murrow covered World War II for CBS Radio and produced the famous “Harvest of Shame” television report on American migratory farm workers. Murrow was appointed by President Kennedy to try to bring credibility and order to the agency. Before accepting the position Murrow insisted on being given a seat on the National Security Council, the first and only USIA Director to be given that access. As he later said, after the infamous Bay of Pigs scandal, “If they want me in on the crash landings, I better damn well be in on the take-offs.” Murrow was critical in lending the Agency a sense of credibility and order. After Kennedy’s assassination in 1963, Murrow agreed to stay on as Director despite early symptoms of lung cancer, which he died of in 1965. Macon Phillips was hired by then-Secretary of State John Kerry on September 23, 2013, to serve as coordinator of the Bureau of International Information Programs. He held that post until January 20, 2017, when Donald Trump assumed the office of president. Located within the U.S. State Department, the bureau is the main propaganda arm of the U.S. government, responsible for producing and distributing information about the U.S. to an international audience. After leaving the State Department, Phillips was hired as chief digital officer for the anti-poverty group CARE. Phillips was born on June 29, 1978, in Huntsville, Alabama. His parents, Dr. Macon and Barbara Phillips, enrolled their son, at age 5, in the Randolph School, a private kindergarten-through-12th-grade college prep institution located in Huntsville. Phillips graduated from Randolph in 1996 and then attended Duke University, where he earned an A.B. degree in sociology in 2000. Following graduation, Phillips joined AmeriCorps, where he worked to help provide low-income housing. In April 2005, after a stint working for U.S. Sen. Edward Kennedy, Phillips was hired as the director of strategy and communications at Blue State Digital, a Washington, D.C., tech firm. He was then recruited as a senior strategist for Democratic Florida State Senator Rod Smith during the 2006 Florida gubernatorial election. At Blue State, Phillips was involved in the creation and management of then-Senator Barack Obama’s presidential campaign website, which was said to have generated a million Facebook “friends” and about $500 million in donations. Upon Obama’s win as president that November, Phillips was promoted to new media director of the Obama-Biden Transition Project, a three-month operation for which he designed the Office of New Media and a transition-team website, Change.org. He also oversaw a revamped WhiteHouse.gov website that was activated at 12:01 pm on January 20, 2009—Inauguration Day. His work on that site was done in close coordination with the online activities of the Democratic National Committee, which administered the BarackObama.com website. With the rollout of the Obama administration in January 2009, Phillips was appointed special assistant to the president and director of the newly established Office of Digital Strategy (the renamed Office of New Media). Among Phillips’ accomplishments at the office was his development of “We the People,” the White House’s online petitioning system, which served as a platform for 400,000 citizen-petitions signed by more than 16 million users. Four years later, as coordinator of the Bureau of International Information Programs, Phillips reported to Richard Stengel, then-under secretary for public diplomacy and public affairs. Phillips’ duties required extensive international travel as he advised foreign governments on advances in digital technology and communication. But Phillips found that much more awaited him as he began his new job. Only four months earlier, the State Department’s Office of the Inspector General (OIG) released a scathing report (pdf) about the bureau, citing low morale, “reorganization fatigue,” and a “leadership [that] created an atmosphere of secrecy, suspicion and uncertainty.” Phillips’ predecessor, Dawn McCall, “believe[d] she [had been] hired with a mandate to ‘fix’ IIP,” according the report, so hopes were high for Phillips to help move the agency beyond the serious problems cited in the OIG report. Phillips and his wife, Emily Price Phillips, have two sons. A business leader experienced in media and international markets, Dawn L. McCall took over as coordinator of the State Department’s Bureau of International Information Programs on July 28, 2010. The Bureau is the main propaganda arm of the U.S. Government, responsible for producing and distributing information about the United States to an international audience. McCall holds a Bachelor of Arts degree in journalism, advertising and public relations from the Henry W. Grady School of Journalism at the University of Georgia, from which she graduated in 1976. She volunteered to work for Jimmy Carter’s presidential campaign and was eventually assigned to recruit Hollywood celebrities to support Carter. When Carter won the 1976 election, McCall was rewarded with a position as assistant administrator in public communications for the Small Business Administration. After Carter was voted out of office, McCall worked for a cable TV company trying to win franchises in cableless cities. In 1981, she moved back home to Atlanta and took a job with the Weather Channel. Five years later, she was transferred to San Francisco. In 1987, she joined the Discovery network and held several senior affiliate sales positions for the company until 1994. That year she was named senior vice president and managing director of Discovery Networks Latin America in Miami. In this position, she established Discovery’s business in Latin America and founded the region’s first trade association representing television network interests with the formation of TAP Latin America, where she also served as the organization’s first president. From 1999 to 2007, McCall was president of Discovery Networks International. 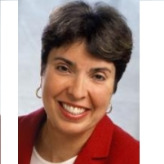 In this role she served on the company’s six-member executive committee responsible for running Discovery Communications, and sat on a number of boards overseeing joint-venture businesses with large global media organizations including the BBC, Alliance Atlantis and Liberty Media. In 2009, she founded International Media & Entertainment Partners, LLC, an international media consultancy. McCall is a former board member of The International Academy of Television Arts and Sciences.